Here we are! The end of the year and its holidays are coming! 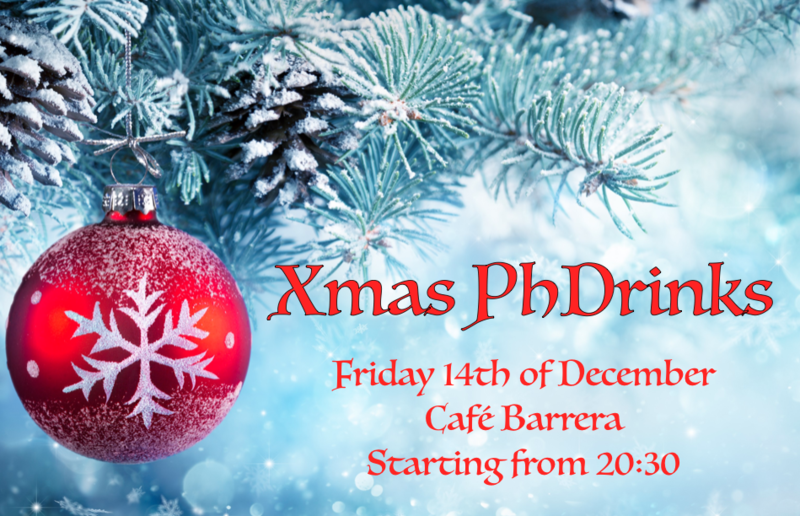 For this special time, we propose you to join us on Friday 14th for a drink with your fellows! We will be waiting for your at Cafe Barrera from 20h30, and as always, the first drink is on us! Note that LEO is looking for new board members, if you may be interested, do not hesitate to come to us for a talk!